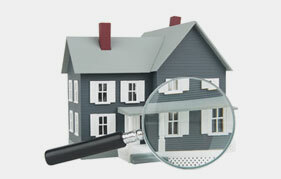 When putting your home up for sale, often the homeowners will have the home inspected to ensure there are no snags. When a home is inspected, it helps show the homeowner any potential problems so they can resolve them and minimize issues that buyers can try to negotiate a lower price. To help homeowners properly prepare their home to be put on the market, JMark Inspections will share some of the most common issues found during a seller pre-inspection. Smoke Detectors: Smoke detectors are essential and are part of the home’s safety or emergency system. Often older homes and even some modern homes don’t have detectors in the right areas of the home for proper safety. In an ideal home a smoke detector should be in every room or sleeping area and at every access point in the home. However, not all homes have an ideal safety system. Bare minimum, all homes should have two smoke detectors one at each end of the home. Two story homes should have at least one located up stairs and one or more down stairs. Smoke detectors should also be installed on the ceiling. Carbon Monoxide Detectors: Carbon monoxide detectors or CO detectors are an additional safety system for a home. They help detect CO levels that can be dangerous. CO detectors can detect carbon gases in the air as well as smoke from fires. CO detectors should also be located in sleeping areas as well as in each section in the home. There are some smoke and CO in-one detectors that can be used inside the home. Ground Fault Circuit Interrupter (GFCI Outlets): Ground fault circuit interrupter outlets or GFCI outlets are required to be used in every bathroom and outlet located near water such as laundry rooms, kitchens and garages. GFCI outlets are essential for a home electrical safety. If these outlets are not located in the correct area, this can pose a hazard and can reflect on the sale of your home. Windows & Window Screens: Window screens and windows must also be in good condition. For proper function and efficiency of a home, window screen should be in good condition and secured in place. The window’s seal may require resealing to prevent energy waste. If windows have become fogged or are damaged, it can reduce the price of your home and interfere with the sale of the home. 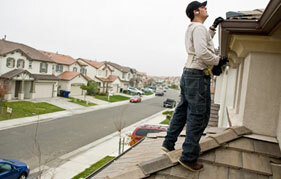 Repair or replace damaged windows. Outdoor Vegetation: Overgrowth poses another common problem especially those that come in contact with the house. Trees and plants should be trimmed back and away from the home and look maintained. However, it is the threat vegetation poses that fail most inspection. Overhanging tree branches can lead to roof damage and other damages to a home. Internal Nail Heads: If you see any exposed nail heads inside your home they should be sealed with caulking glue. Depending on the nails’ location they can cause moisture damage of the interior material inside the home. When walking through your home, look for nail heads that are exposed. Once taken care of, these can also be covered with a primer and painted over to also help prevent moisture exposure. These are the common problems a seller pre-inspections can reveal. 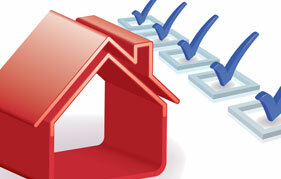 If you are preparing to put your home on the market, or are buying a home, contact JMark Inspections and schedule our services today.